This new Swedish machine has a bit of an MTB/motorcycle hybrid look to it. There's another new e-motorcycle out there, and this one looks to be a bit of a motorcycle/MTB hybrid. I Coming from Sweden, one of staff also cracked that it has more than a bit of IKEA look to it. The Cake Kalk is their first stab at an electric bike, and it's claimed that it's the first of a number of models to come. According to Cake, the design is strongly influenced by downhill and enduro MTBs. This makes sense, as Cake's CEO, Stefan Ytterborn, is the founder of the Swedish protective gear brand POC. 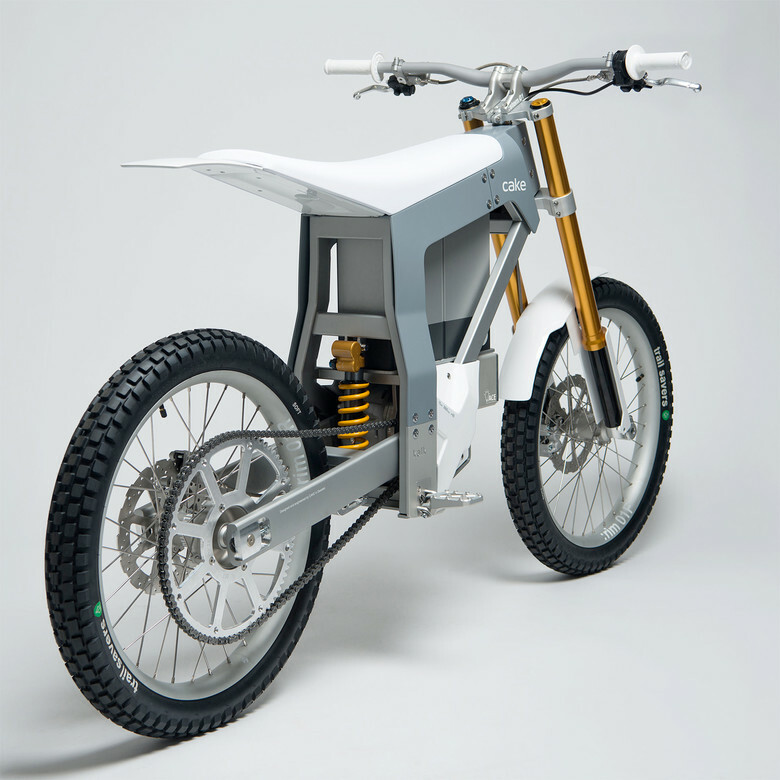 Like other e-bikes out there, there's no clutch, and the range is said to be about 50 miles, with a 50-mph top speed. You can check out the specs and launch video below, as well as some interview videos from Stefan, where he provides some background on the bike's development, the market, and more. For more info, check out https://ridecake.com. The suspension is specifically developed by Öhlins, supporting the category of high performance at minimum weight. The light and snappy ride, with its focus on off and on trail riding, in the outback, means that its main character is about torque and acceleration, while providing a quiet gliding and surfy experience. Thanks to its digital pre-setting it´ll let anyone fly at their own level. 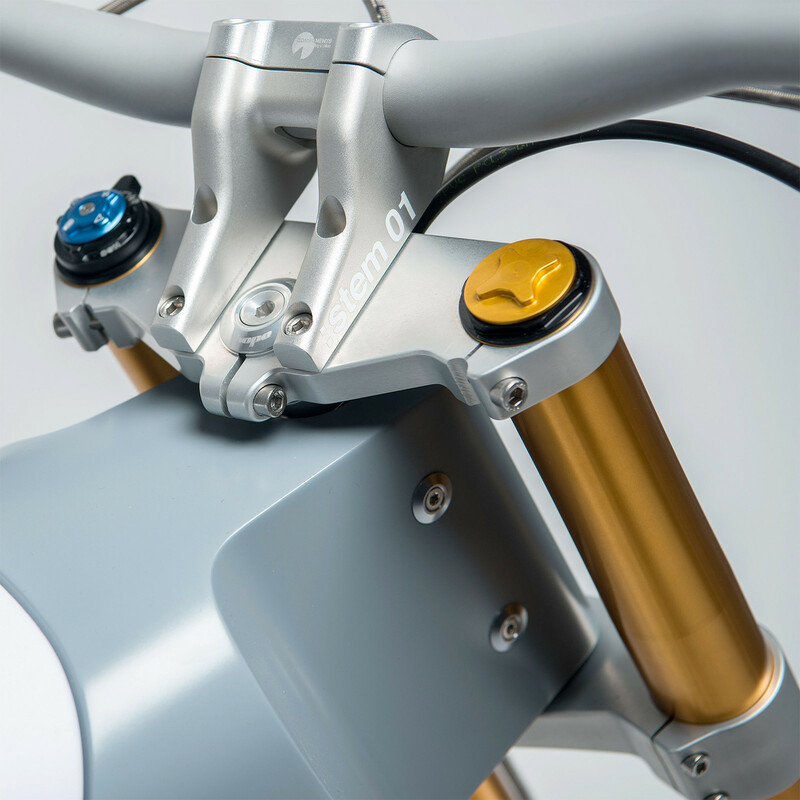 -The upside down fork is air/oil sprung and features 38mm stanchion tubes for extra rigidity and strength, with 204mm travel, specially developed by Öhlins. It is adjustable for high-speed compression, low-speed compression and low-speed rebound. Öhlins TTX dampening technology, Nitrogen pressurized bladder reservoir system, 3-level high speed and 16 click low-speed compression and 7 low-speed rebound adjustment. Linkage. Handlebar: Aerospace grade 7050 aluminium, 800mm wide, 20 mm rise, 31.8mm. Stem: Aerospace grade 7075 aluminium stem with integrated dashboard. All fenders and sideplates made of carbon fiber. All bearings throughout the bike are SKF. Their going to have a wake up call when they find out that ALTA just dropped the price of their MX version to $10,495 US dollars. Not to mention this looks like it needs to be beefed up and refined quite a bit, other wise I see a lot of their electric bike's components imploding with hard use. Piece of cake.......until there is mud. 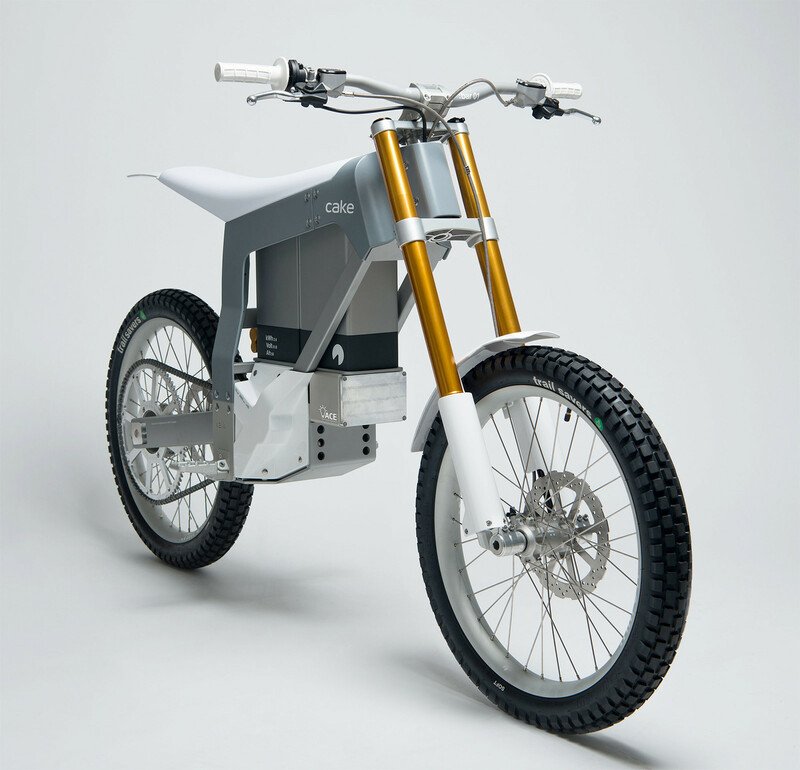 Seems like it should be called an electric motorcycle since it does not have pedals. $17,400.60 US oh hell, sign me up for 2. Just Apple Pay it to me. All the respect to the enginers and the massive task to make one of these but honestly this i one of the worst design i have ever seen in my life. With that said it is probably superfun to ride one. Cool looking bike.... with the dumbest name possible. It looks like a rolling barstool! The link given in the middle of the page does not work. Please keep this propaganda off my favorite site. Nothing against electric but this belongs in the dumbgon.